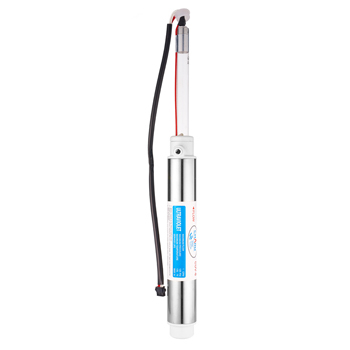 Ultraviolet Water Sterilizer is specifically designed to remove microorganisms that can range from bacteria and viruses to algae and protozoa. 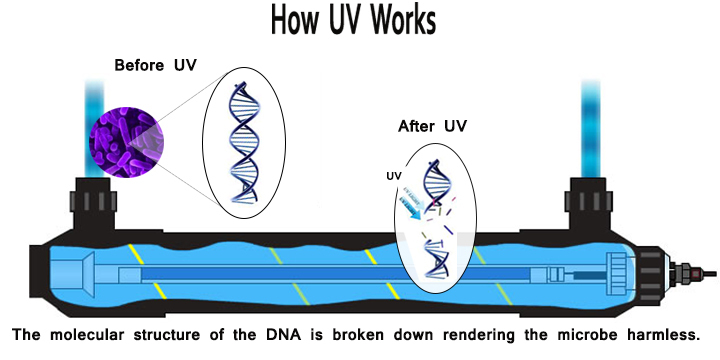 It's advanced UV treatment is capable of disinfecting water faster than chlorine without the use of retention tanks and harmful chemicals to your drinking water. Specifically designed to be installed with our FilterWater.com -branded, FW- filtered water coolers. The UV lamp emits powerful ultraviolet light and incorporates natural ultraviolet light energy to eradicate microbiological contamination. Water enters through the bottom part of the reactor chamber and swirls around a high output, low pressure mercury vapor lamp thermally protected by a quartz sleeve. Energy components contained in microorganisms absorb the light energy; this disrupts the DNA and prevents reproduction. Great as an add on to any under sink, bottleless coolers, reverse osmosis or low flow filtration application. Out 1 GPM Ultraviolet Water Sterilizer System is manufactured with axial flow reactors in 304 stainless steel and comes with 1/4” MNPT connections. 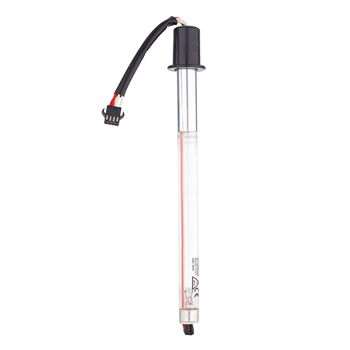 The hard glass germicidal lamps provide an economical way of treating water requiring a 99.99% reduction of microorganisms. This process is accomplished without adding any harmful chemicals to your drinking water. This water sterilizer is extremely cost efficient, the most ecological way of treating your water and all for pennies a day! Environmentally and user friendly, no dangerous chemicals to store, no risks of overdosing. Easy installation, or order it with our FilterWater.com coolers and we'll install it. No change in taste, odor, pH or conductivity or the general chemistry of the water. More effective against viruses than chlorine. Extremely economical, hundreds of gallons may be treated each for a penny. Immediate treatment process, no need for holding tanks. Automatic operation without special attention or measurement, operator friendly. Simplicity and ease of maintenance and annual lamp replacement, no moving parts to wear out. Low operational cost when compared with similar technologies such as ozone. * The UV lamp should be replaced annually. 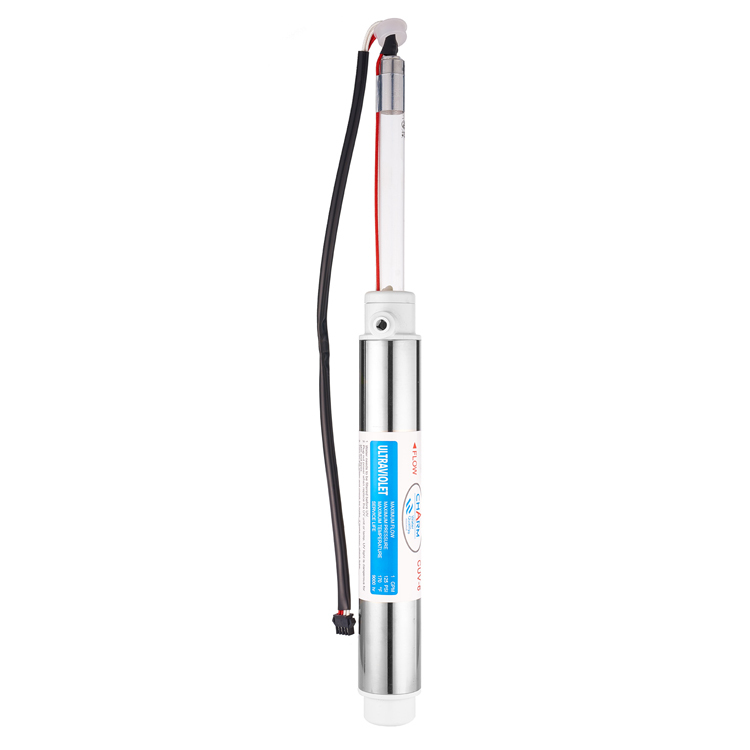 Systems where this product can be applied include post undersink water filters, post whole house water filters, water coolers, pre and post osmosis systems, private wells, camp grounds, hotels, bottlers, aquaculture, hospitals, food, cottages, restaurants, breweries, laboratories, marine, pharmaceutical, dairies and many other applications.